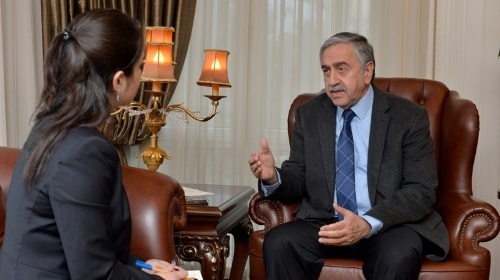 In an interview with Turkish BBC, President Mustafa Akıncı said that he has high expectations for the Geneva talks. Akıncı underlined, however, that it would not be realistic to expect solutions to all aspects of the Cyprus problem from the talks. According to the news, Akıncı’s main target is to return from Geneva with a decision on a referendum. It was also pointed out that Greece and the Greek Cypriot side demand the total removal of Turkish soldiers in Cyprus, however this issue is a red line for President Akıncı. “We are the people from the same generation as Mr. Anastasiades. We are trying to reach a settlement for the final time as people of the same generation. The Geneva talks may be the last opportunity to reach peace in Cyprus” he added. In the interview, Akıncı also said that the young generations in Cyprus grow up without recognising each other and learning each other’s languages. They travel to each other’s areas as tourists. They have grown up as two foreign communities. Answering the question, “Will the removal of Turkish soldiers be on the agenda?”, Akıncı said, “No, that is out of the question. Certainly, a number of soldiers will stay on the island. There is a need for the Turkish soldiers here. The realities are very clear”. 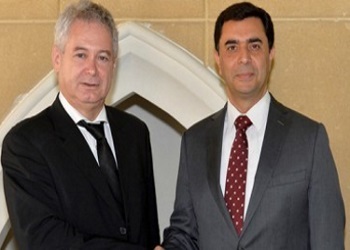 Within the framework of the Cyprus negotiations, Turkish Cypriot Negotiator, Özdil Nami and Greek Cypriot Negotiator, Andreas Mavroyiannis will meet again today. This entry was posted in News and tagged 5-party Conference Geneva, Andreas Mavroyiannis, Özdil Nami, Cyprus negotiations, Mustafa Akıncı, North Cyprus, TRNC. Bookmark the permalink.